To support testing of web clients, MockMotor implements CORS support natively. 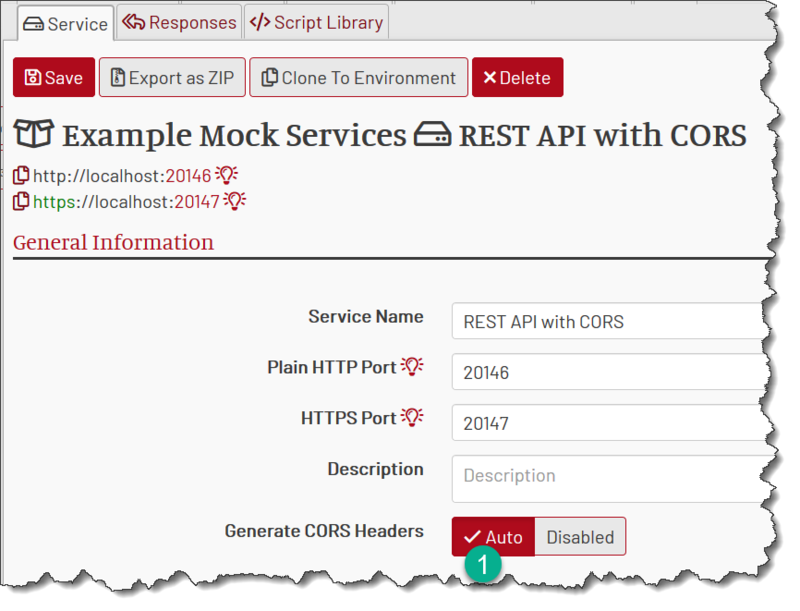 All MockMotor’s mock services have CORS enabled by default. The response headers only get generated if the request contains CORS Origin header. Because of that, this option doesn’t effect SOAP services and generally on any service not called from a web page. MockMotor tries to imitate (“mock,” eh!) a very permitting backend service. For all CORS request headers, it provides the response headers that allow the action. For detailed documentation on CORS read Mozilla MDN article. Simple requests are those with the POST, GET or HEAD method and no unsafe headers. For such requests the browser immediately executes the action, providing Origin header. MockMotor automatically adds Access-Control-Allow-Origin: * to signal that anyone can call this endpoint and method. For non-simple HTTP methods or when the client wants to pass some unsafe headers, the browser performs a pre-flight request. That request is executed with the OPTIONS method, and other CORS request headers are added. Again, MockMotor adds the response headers that allow the method or headers requested by the browser. Authenticated requests (i.e. those that have Cookie headers) have Access-Control-Allow-Origin response header identical to Origin request header; simple * won’t work. Also, the Access-Control-Allow-Credentials response header is set to true, as required by CORS spec. A mock response can overwrite any of automatically generated CORS response headers by providing its own value in Custom Headers section.